We have a slide to suite your needs, we have large slides, small slides, slides with stands, double slides, water slides, tubular slides and spiral slides. What slide are you after? We have slides that are brought in all the way from America, and slides from Poland - so they are not the run of the mill ordinary plastic slide that you might see on cheap play sets. Our slides have been chosen for there strength and longevity. You are placing your child on these slides, so we want the best quality for them to enjoy and play on for years. 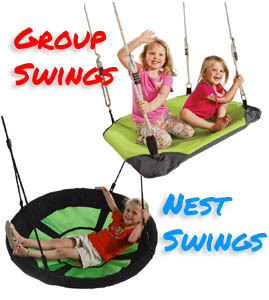 Our tube slides are not cheap tube slides like others that are sold on the children's play equipment market. Our tube slides are a full roto molded plastic cylinder. Cheaper slides are made in sections, which means they are not as strong. Our tubular slides are commercial grade quality. 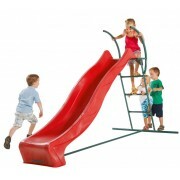 We have a large range of plastic children slides to suite all different platform heights. Call us today and we can help you choose the best slide for your needs. You are purchasing one BLUE 2.28M - Free Standing Slide with Ladder Kit Let your..
You are purchasing one GREEN 2.28M - Free Standing Slide with Ladder Kit Let your..
You are purchasing one PINK 2.28M - Free Standing Slide with Ladder Kit Let your ..
You are purchasing one RED 2.28M - Free Standing Slide with Ladder Kit Let your c..
You are purchasing one BLUE 2.9M - Free Standing Slide with Ladder Kit Let y..
You are purchasing one GREEN 2.9M - Free Standing Slide with Ladder Kit Let ..
You are purchasing one PINK 2.9M - Free Standing Slide with Ladder Kit Let y..
You are purchasing one RED 2.9M - Free Standing Slide with Ladder Kit Let yo.. Wave Slide BLUE suite 1.2 deck.. Wave Slide Green suite 1.2 deck.. Wave Slide RED suite 1.2 deck.. Wave Slide YELLOW suite 1.2 deck.. Wave Slide BLUE suite 1.5 deck.. Wave Slide GREEN suite 1.5 deck.. Wave Slide RED suite 1.5 deck.. Wave Slide YELLOW suite 1.5 deck..